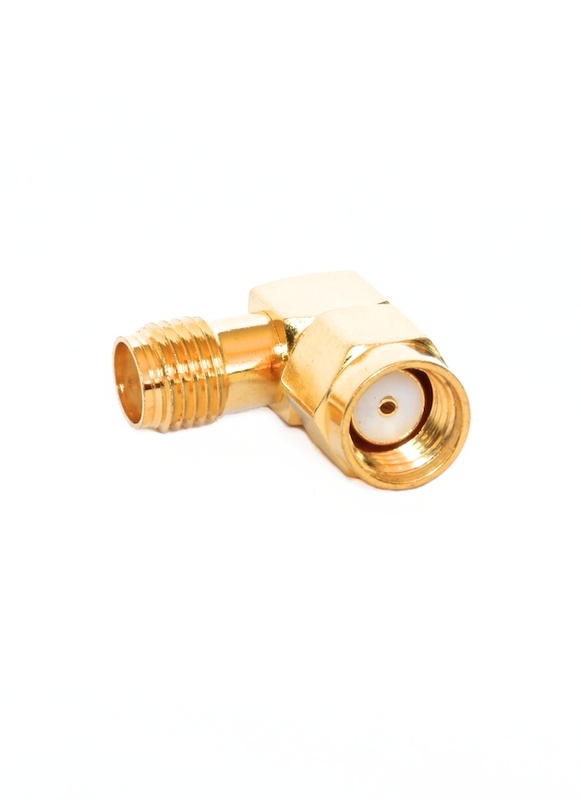 SMA Female to RP-SMA Male Right Angle Adapter - used to connect antennas to your FPV transmitter / receiver. The adapter has female pins both ends (like the picture). Gold plated for a higher quality connection. 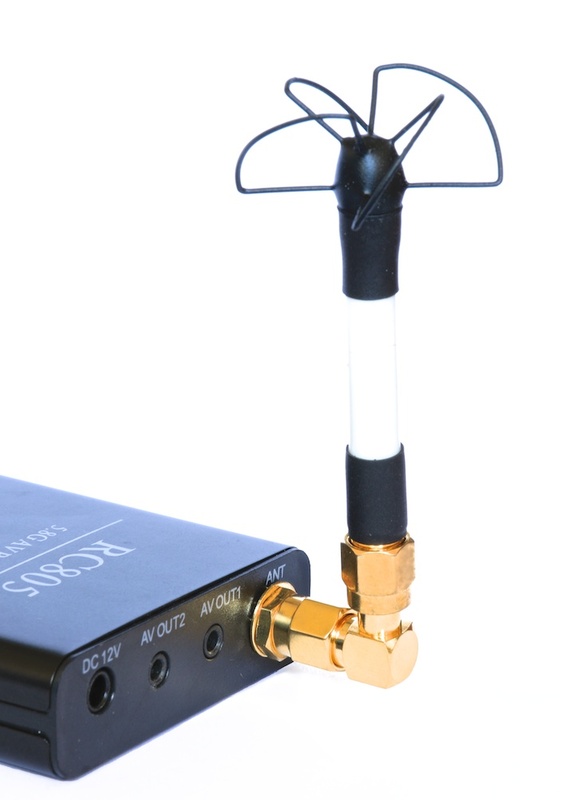 Antenna & RX not included.